A review of just some of our exciting vents over the past few months. 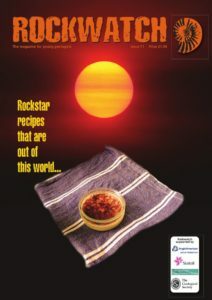 Rockwatch member Fureya Nelson Riggott, shares some of her Rockstar 2011 prize-winning geo-recipes with readers. These yummy foods are fun and easy to make and brilliantly illustrate the three main rock types: sedimentary, igneous and metamorphic. 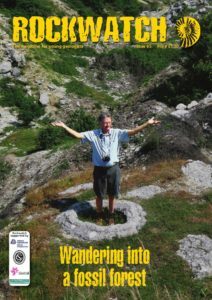 Former Rockwatch member and Rockstar, Jane Robb, writes about her collection and how it charts her journey from her childhood (via Rockwatch) to the professional geologists she is now. She compares the memories her collection evoke in her to the memories that Sir Arthur Russell’s collection, now at the Natural History Museum in London, evoked in him. And she goes on to offer some tips on how to look after your collections. Can you imagine what it’s like to live with earthquake swarms not just one earthquake, but one after another, not knowing when they might end? Veronica Rozier tells us that this is what life is like in Christchurch, New Zealand, since the first quake struck in September 2010. CAN NAUTILUS TELL US HOW AMMONITES DEVELOPED? 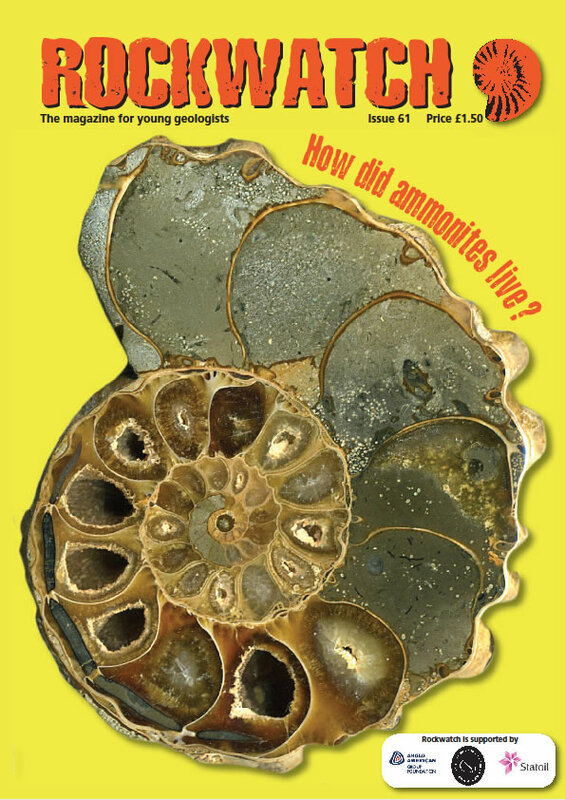 John Temple wonders how ammonites lived, which is really difficult when they went extinct at the end of the Cretaceous Period. So he compares them with a living relative, the Nautilus, to see how that might help him to predict the ammonites’ lifestyle. The huge numbers of fossils found from rocks of Cambrian age compared to those from the Precambrian, suggests an “explosion” of life occurred during the Cambrian. The Burgess Shale of Canada is the most famous site of Cambrian fossils, but Ken Brooks tells us about the exciting discovery of Sirius Passet, a remote area of northern Greenland, which has yielded lots of similar fossils. When Kate Salmon lived in San Diego, California, she discovered that the huge waves of this surfers’ paradise are all due to the geology of the sea floor. 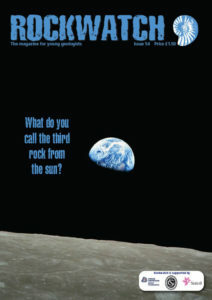 Read how the surface of the sea bed affects the way the sea behaves and how you might learn to “read the waves”. Did you know that there are dinosaur footprints in the Jurassic sediments of North Yorkshire near Scarborough? 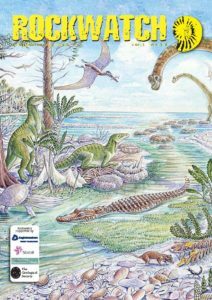 Jeannine Swales tells us about these footprints from the “Dinosaur Coast” and how you can see some of them, never before seen by the public in a new exhibition at the Rotunda Museum in Scarborough until September 2013.